When it comes to running shoes it is hard to decide on what is best for us. There are so many on the market and it is hard to know which is best. The benefit of a good running shoe is without a decent cushioning, arch support and fit the wearer can end up with arch issues, back issues, alignment issues (which could lead to chiropractor visits) and both heal and calf discomfort. Runners are not only meant for running but have become a style accessory. You can see the current trend of a mix between dressy and sporty, and it is usually accompanied by a nice clean set of runners. 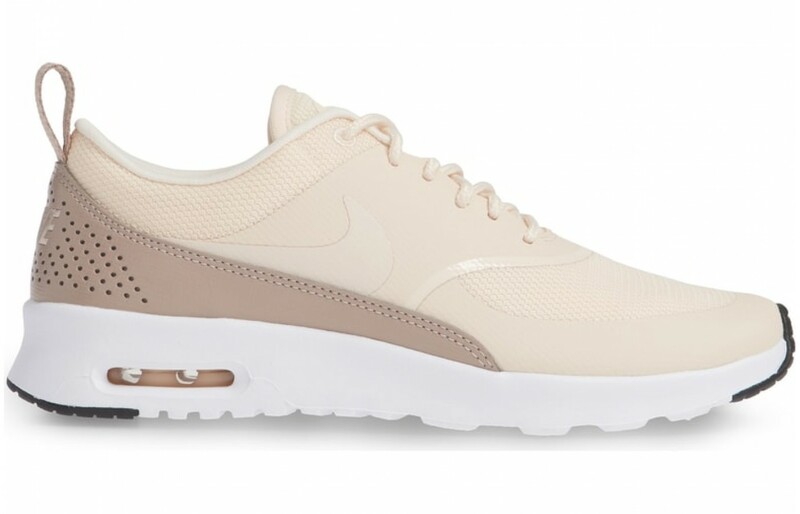 In this article we review the very stylish Nike runner, the Nike Air Max Thea. This product comes in both men’s and women’s styles. They are designed for both fitness and style. They have proper cushioning to support feet, calves and lower back in both walking around on concrete as well as light cardio. They are made of a synthetic leather that is both attractive and light in design. They have a “phylon mid-sole” to provide better impact absorption and cushioning. Another area that provides impact reduction is their very popular ‘max air technology’ which is something specific to Nike. The product has mesh to help with airflow as well as phylon out-sole for better traction. These runners are light, durable and help provide impact reduction. On top of all this, they are quite stylish and come in a range of colors. They are highly rated by reviews and aren’t terribly priced, sitting right in the middle in price range. The benefit of a good mid-sole is to provide better support to the arch of the foot. The midsole is located between the heel and the toe of the shoe. It is a key component to the shoe because it will not only support the arch of the foot but also help with shock absorption. In this product, the mid-sole is made of a very light and durable material. It is also quite supportive (without incurring too much pressure on the arch). It is made of Phylon which is a material that is made with compressed foam pellets, offering a lightweight but supportive material. 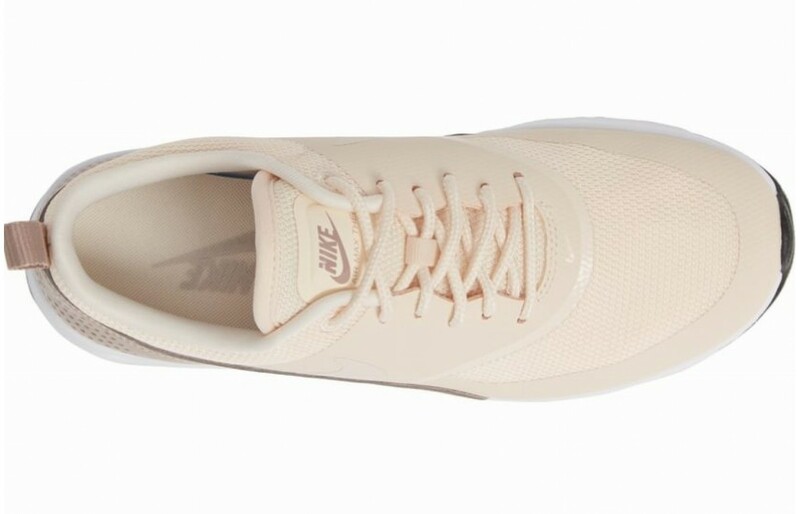 It is something that was something that was innovative to Nike back in 2001 and has been since updated and improved to provide a much lighter alternative to the traditional rubber sole. The mid-sole is supportive and fits like a glove, so to speak. Because this product is quite narrow it provides a much closer fit to the foot. This has been noted as being uncomfortable when the shoe is the wrong size. The midsole in this product, if fitted correctly is noted as being good. The outsole on a running shoe is the on the outer part of the shoe. It helps provide the impact reduction all runners need when running or playing sports. Without an impact preventing material, being active becomes very hard on the joints, knees, lower back and ankles. The outsole helps prevent that. 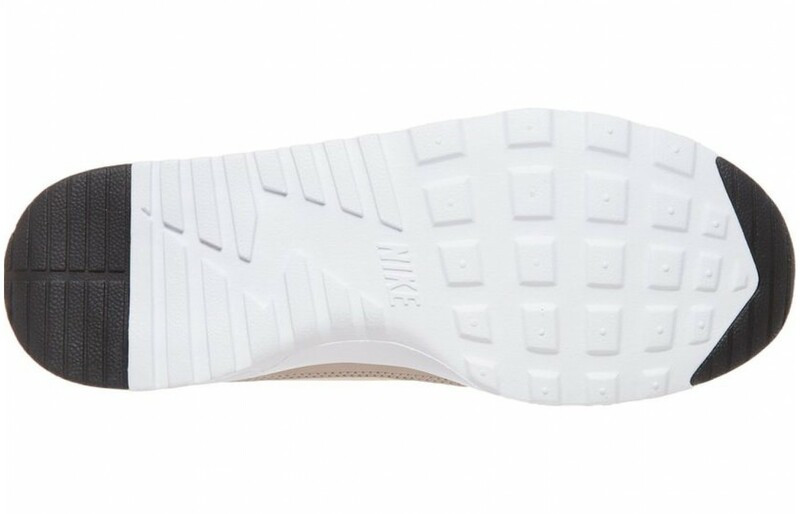 The outsole on this product is also made of Phylon which is unique to Nike products. Along with it being lightweight and supportive (due to it being made of compressed foam pellets), Phylon also provides traction to the product. This helps when playing more jarring sports that require better grip like basketball or road hockey where you are running back and forth and stopping very suddenly. The out-sole is thin at the toe of the shoe but thicker at the heel of the shoe to provide a sleeker look without sacrificing the impact reduction of the shoe. The impact reduction also comes from the air pocket under the heel that also aids in shock absorption discussed in more detail below. The outsole is very important to shoes as without it not only would the body hurt quite easily as a result of impact sports but it also provides the track needed in order to start and stop easier. Running shoes used to be made of a very heavy rubber material that was great for impact absorption but terrible as far as weight goes. Weight is important because it will not only help with quick movements but also help avoid any additional friction causing fatigue. A heavier shoe will slow someone down as it weighs down the foot. Thought it might help add muscle to the leg, it isn’t quite conducive to the speed required in playing competitive sports. This product has the Phylon out-sole and mid-sole allowing for better support but also for a more light-weight design. Phylon, again, is made of a compressed foam which is quite light. This product is also made of a synthetic leather making the shoe both light and flexible. Real leather, though extremely durable, will add quite a bit of weight to the shoe and it doesn’t do very well in wet situations (like when out in the rain) which will only weight the material down further. This product is quite light in general allowing for easier and quicker movement. Synthetic leather and Phylon are also quite flexible which will help with ease of movement and how the shoe moves with the foot. Breathability is incredibly important because this will essentially dictate how long a person can wear a shoe. A hot foot is really uncomfortable and may prohibit longer playing time. Additionally, a hot foot will lead to more sweating which will encourage slips. The moisture builds up will also encourage the shoe to smell a lot sooner and decrease the longevity of the product. This product has both mesh at the top of the shoe as well as holes at the back of the shoe to encourage airflow through the shoe. The top mesh is surrounded by synthetic leather and secure stitching to avoid the mesh from being too exposed to environmental factors (as the mesh material tends to be a bit weaker and more susceptible to tears and damage). The airflow helps provide a cooling and drying system for the foot that you won’t find in footwear like rubber boots for instance. The back of the product has holes as well to provide airflow throughout the shoe. This will not only help the feet stay cooler but also help prolong the eventual smells that come from old sneakers due to sweaty feet. And thus, it prolongs the longevity of the product. Comfort is obviously the most important feature of the shoe. We want to ensure that the shoe we are wearing is capable of wearing for an extended period of time. Runners aren’t like heels or work boots where they are meant for a specific purpose. Runners are meant to be worn all day. Comfort was one area that most people complained about with this product. This shoe runs on the smaller side. It is quite narrow in design as it is meant for both sports and fashion (and no one wants a bulky shoe!). When those who purchased this shoe bought their size they found that they were quite hard to wear long term and that they had some pain in the Achilles heel. Those individuals who recognized that they were wearing a shoe that was a size too small and purchased a larger size reviewed the shoes as being quite comfortable. This shoe may not be ideal for those with Achilles heel problems though as the hell on these are quite high. As mentioned above the shock absorption of the shoe is quite good and aided in the comfort of all affected areas (toes, heels, arches, calves and lower back). These are very stylish in design. They are quite narrow as many reviewers mentioned because a bulky shoe is not in fashion. They come in a wide range of colors from tan to hot pink. They are quite thin at the base of the sole and gradually grow thicker on their way to the heel. They have a flatter tongue as well to provide fewer issues with working with a pant leg and will also fit closer to the foot. These are definitely attractive in design and may be used more as a fashion accessory than an actual running shoe. There hasn't been many reviews about the durability of the product. Nike in general have a good track record of providing quality running shoes. Phylon and they synthetic leather are quite durable. The materials also offer more flexibility which will add longevity of the product due to the materials not breaking down as easily. Overall, this product is designed and constructed well. A common comment is that this product appears to be made of quality materials which you want in a running shoe. Once again, with this product the proper sizing is ideal. Even if you fit one size with Nike specifically that doesn't mean this one will fit correctly. It's best to go a size bigger in order to avoid all the pain in the heels and blisters. Once the shoe is sized correctly the shoe is reviewed as being quite supportive. The Phylon adds a nice level of support while still being lightweight. This particular shoe is probably best for more urban environments. 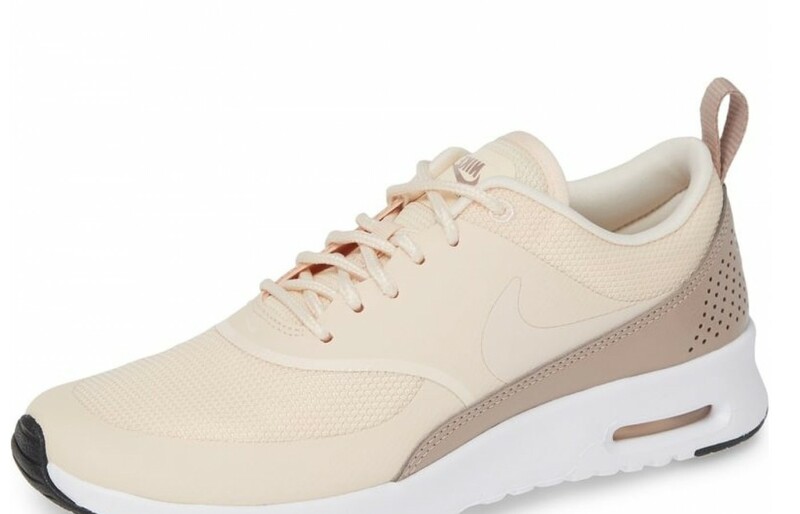 It is meant to transition fairly easily between a fashion accessory and a sports shoe so it is definitely ideal for those looking to look good while being able to move around a little more freely. The outsole helps provide a good traction ideal for basketball or light cardio. It will also help with walking around on pavement or cement while walking around. It would probably not be ideal for hiking or long runs though. The price point of these is in the middle of the price spectrum. They are meant to be versatile allowing the wearer to use them as both a fashion accessory and a running shoe thereby eliminating the need to purchase more than one pair of shoes. They are definitely not expensive. When it comes to day-to-day life they say that the three items you should not cheap out on are your office chair, bed or shoes. These are your primary sources of support 95% of your day, therefore aiming to spend little on shoes will inevitably cause issues down the road. A chiropractor can be quite expensive so this will ultimately cost very little in the long run. The Phylon in these products, as mentioned above in this article, is a great material for traction. The base of this shoe has a design that allows for better traction when playing more jarring sports. Additionally, the Phylon material won't warp on hot pavement which is a a huge plus. In conclusion, this product is definitely very stylish in design. It is meant for those who are looking for a shoe that can easily transition from a fashionable shoe to a sports shoe. The materials used in this product are designed to be lightweight but still supportive. The product is also quite flexible in design and therefore will move with you as well as add longevity to the shoe. Remember that this product is quite snug to the foot and will more than likely require sizing up. The overall consensus of the product is a fairly positive one. The product comes in a range of colors and designs for individualized style. And on top of all this product is isn't overly expensive and can be considered quite affordable considering how versatile it is. Overall, this is a solid product made by a very reputable company. Returns and exchanges are also quite seamless and easy to put your mind at ease.